Today I have aquired another single channel museum piece. A Macgregor single channel MR200/MR40 Tx/Rx combo with a Ripmax Minimite servo and most of the loom too. TBH it doesn't look like it's ever been used in anger, although there are signs of it having been fitted to something at some point.. 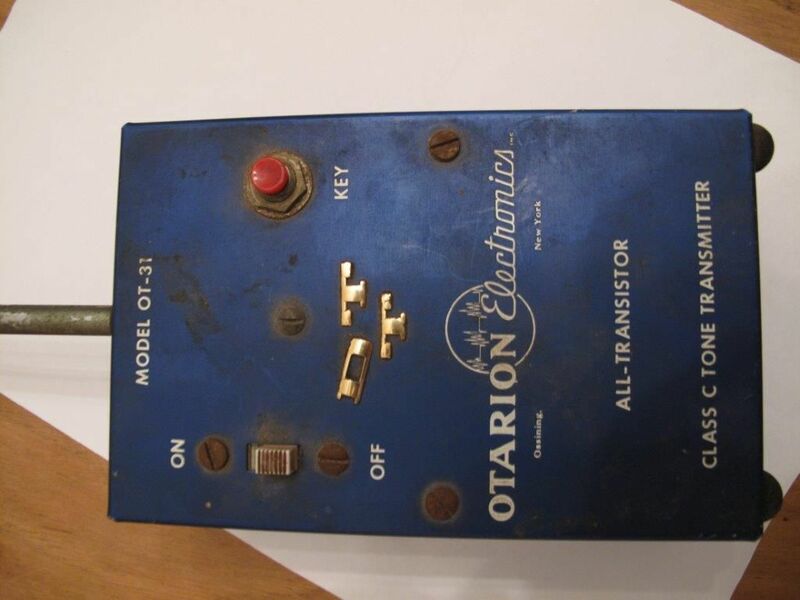 If anyone could direct me to a site where I might find the missing instruction sheet, or any other technical data on this R/C relic I'd be most grateful. I wouldn't mind taking the chance and flying with it, if only I could find somewhere far enough from civilisation for it to be interference free. I'll go through that thread in detail when I have time tomorrow (I'm going to work in a few minutes time), and then try a few enquiries. The reciever mentioned is a MR60, whereas mine is a MR40, but a 9V PP3 battery would be compact and relatively light, so that would make sense for the Rx. There's also an unused lead coming out of the minimite, (3 wires to a plug) which I'm assuming was for a motor control servo. I've got a set of MacGregor Single Channel instructions which I can scan on Friday. 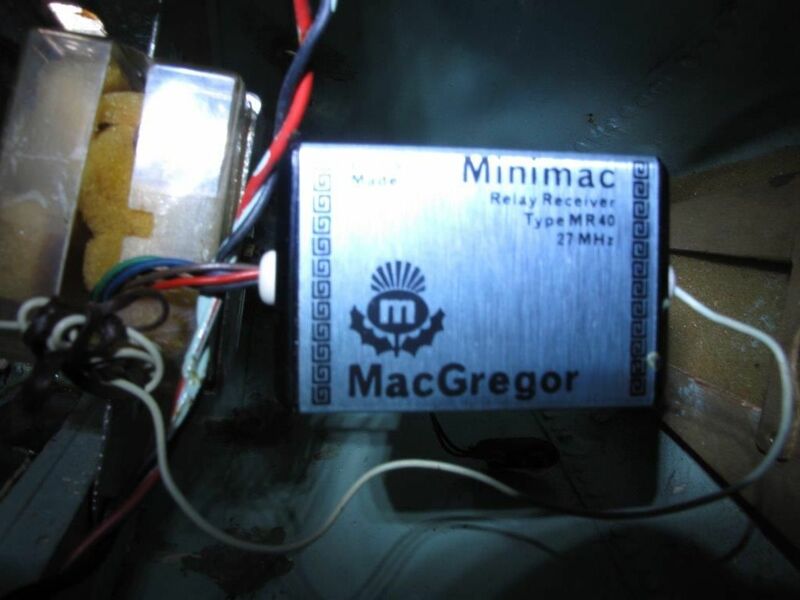 There's no mention of receiver model numbers but it covers Minimac and Superhet receivers (relay and relayless) and seems pretty generic for early 70s MacGregor equipment. If anyone's interested PM me with your email address and I'll send you a copy of one or both. I'll PM you this weekend with my email address. Is a Macgregor Codamac the same thing as a Macgregor 1+1 ? I suspect the 1 + 1 may refer to the quick blip throttle - if so, very probably! The instructions say that the Codamac is essentially the same as the earlier version. The good news is that I've already put the instructions in the car so I shan't forget to take them with me for scanning tomorrow! I've downloaded the Macgregor instructions - very useful thanks. Now I realise that to get the receiver end working with my escapements, I'm going to need Macgregor compatible lead connectors. Either that or cut up the Minimite servo loom, which I don't really want to do. Do I have any chance of finding such connectors anymore ??? I believe that the Codemac and 1+1 had a single stick for left and right, and a button gave the quick blip for throttle. The difference being that Codemac transmitter just did the press once for left twice for right for you, whereas the 1+1 transmitter pulsed rudder left and right quite quickly, biasing it more one way as you moved the stick giving a sort of proportional control. So the 1 + 1 is a sort of analogue proportional system then? No digits or integrated circuits lurking within the Tx/Rx ? The photos I've seen of the 1 + 1 combos up for (online) auction show servos similar to a modern propo one, so I don't think it's a "galloping ghost" system. The Digimac 1 + 1 was a 2 channel digital proportional (on the rudder channel) set - looked very similar to the Codamac transmitter. I don't remember them being very good quality - if you're going to use it I'd think you would be better off with new ones anyway. Maybe someone on this forum has got it for the princely sum of £26.66! I'm thinking if I can make a suitable tool to relase the metal blades I could replace all the heat shrink with new, tight stuff. Otherwise it looks like Futaba spec connectors all round. Got the thing up and running today. The radio gear is working fine, I've picked up the Tx tone output on my little SW radio set no problem. The Rx didn't seem to respond at first, but then coiling the receiver ariel around the transmitter ariel got the relay clicking away nicely, so maybe the relay armature was stuck after lying dormant for years. Looking at the Rx ariel, it's seen better days (the final 3" are bare wire strands), it needs renewing. As for the Minilite servo, this is 100% dead so far. Either bad/broken wiring, bad relay contacts in the Rx, or bad contacts in the servos internal switching gear. My money is on the latter, and as it has it's' own power pack (4x "AA" centre tapped) I'm going to divorce it from the Rx and overide the relay function with a jump wire next. hi just bought a RC baot (sorry not a plane) with a minimac RC 40 per attached. Does anybody have any instrrunation manuals for these - would like to try and get it working. Just for info I used a similar setup back in my S/C days. The wires from the Minimite were indeed for a motor control servo which if I remember correctly was called the 'Minimo'. The servo was fairly simple in that there was simply a set of wipers on one of the gear shafts running over a PC board providing the press/press-press/quick blip decoding, so some contact cleaner should sort out any problems there.